Kick-back, Relax and Unwind on a Guided Tour to Sundrenched Murcia! 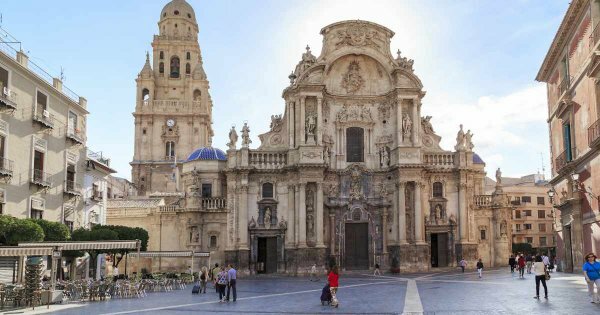 On a guided tour of Murcia, we suggest picking one or two highlights, leaving time to linger in the lovely cafés, squares and gardens. The old city centre retains a great deal of historic charm, with narrow alleys and broad boulevards punctuated by beautiful plazas. On the banks of the Segura, in the central area, take a leisurely stroll and relax with a sangria at one of the many excellent cafés. On a private tour to Murcia, you'll visit Plaza de las Flores which is the location of the city’s most beautiful square. It got its name from its many florists, which are still in business today. During Murcia’s summer months, the city's residents head for this cool oasis on the other side of the river. It has vibrant and picturesque flower gardens and plenty of shaded areas, its most stunning inhabitants are the old ficus trees, take the chance to visit these gardens on a guided sightseeing tour of Murcia.